Real-time odds from 35 top offshore and Vegas sports books, all 100% FREE! 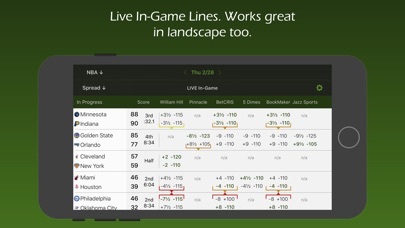 Live In-Game lines for MLB, NFL, NBA, NHL, and many NCAA football & basketball games As sports bettors we know there can be a huge difference between getting 2½ points and getting 3 points so you need to check out multiple books to get the best line. We provide you with up to the minute odds from 35 of the top web-based and land-based sports books. Get live scores & odds for all NFL, NBA, MLB, NHL, CFL, MLS, EPL, division 1 NCAA football and men's basketball games, in addition to men's & women's tennis and MMA. 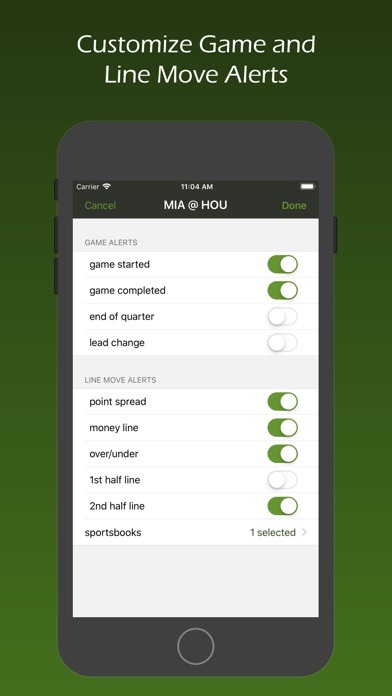 Get alerts for game start, final score, end of period, score changes and line moves Access matchup data such as away/home records and against the spread. View the complete line move history for point spreads, money lines, and totals. 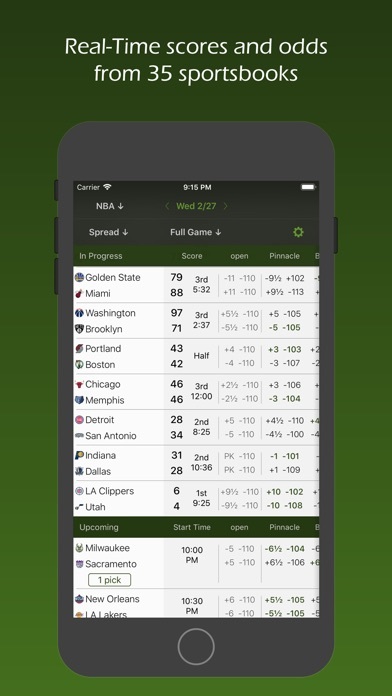 Easily add any game to your list of tracked games so you can view their scores and odds all at once. 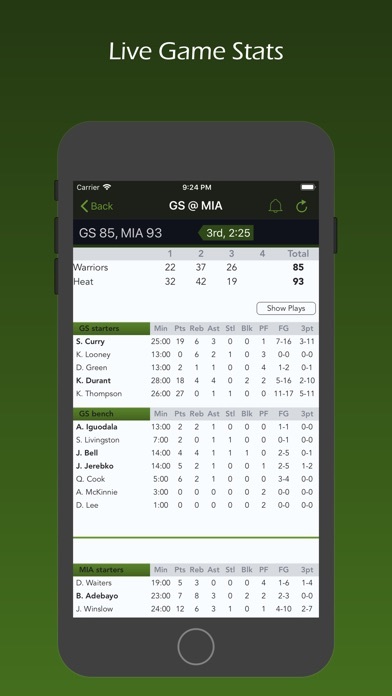 View live in-game stats for all pro and major NCAA conference games. 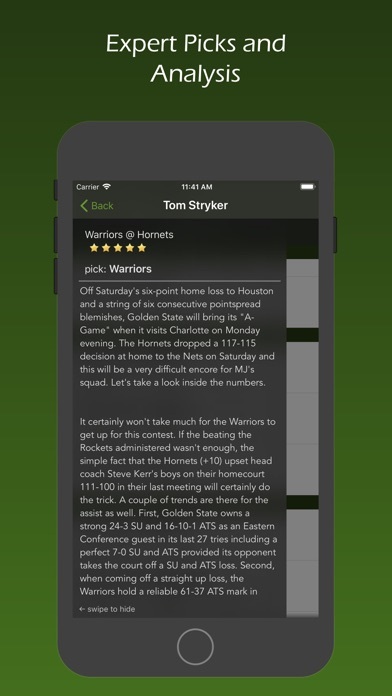 Get access to free and paid picks from some of the top handicappers in the industry. Great app. 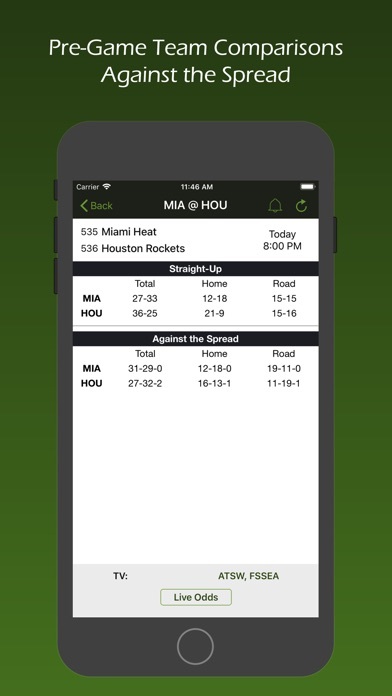 The app tells me straight up and spread records of teams to help me judge on who I think will win the game. I love how it’s color coded for lines that have moved! This app is the best! Nice app. Easy to choose favorite games that you’re following for the day. Would be nice to also follow which team and at what line you bet. App crashes, but it is very rare. Would give 3.5 stars if an option. Using an iPhone X. 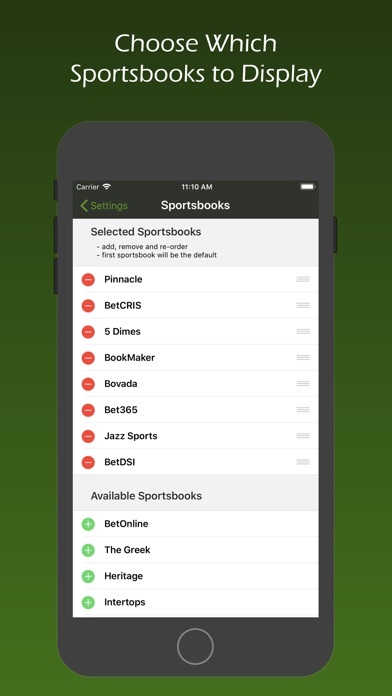 The app updates in real-time for individual bookmakers. It’s perfect. Easy to see alerts for real time line changes. 2 min after getting app it’s set up for your preferences and a valuable tool. 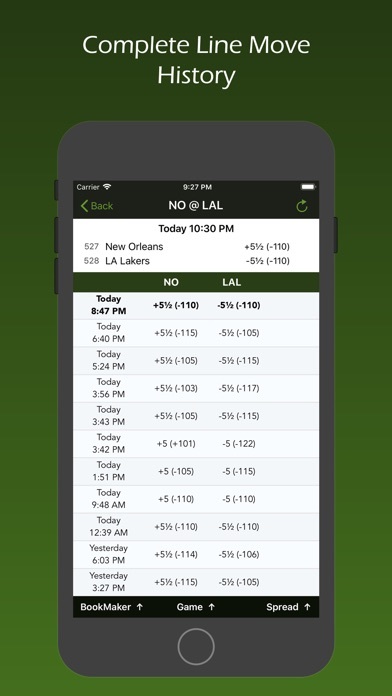 I tested it with my preferred bookie’s odds updates in real time and this app is spot-on. Also has great history of line movements for full season.